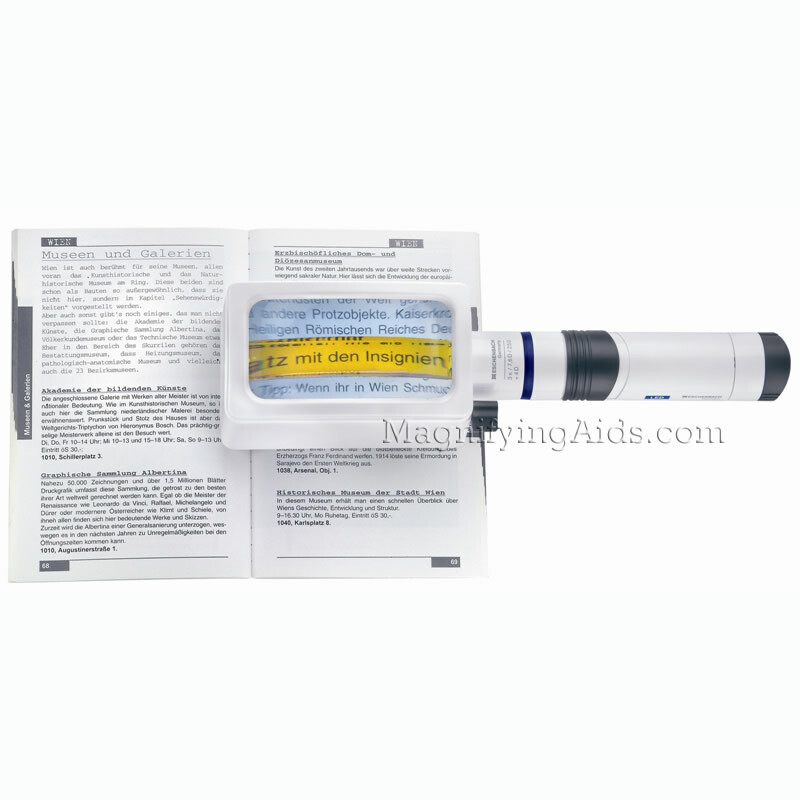 3X / 7.6D Eschenbach LED Illuminated Stand Magnifier are designed for use by resting on top of the reading material, they are ideally suited for reading over long periods of time. .
* Miscellaneous: Includes Yellow Snap On Filter for LED Bulbs, Tiltable Lens, 4D Flip Up Lens (tinted yellow).